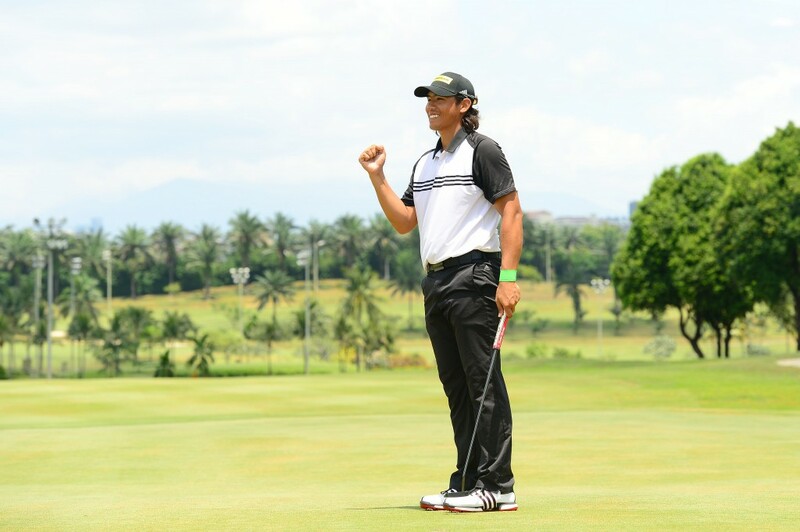 Gavin Green won his second Professional Golf of Malaysia (PGM) Tour title today when he captured RM200,000 the Northport Glenmarie Championship crown by two strokes at Glenmarie Golf & Country Club in Shah Alam, Selangor. The player who blew a five-shot lead in the final round of this event last year carded a 67 and did it with a birdie, after he and India’s Chikkarangappa S. started the 72nd hole level-pegged at 18-under-par. But after Chikkarangappa’s second shot found the rough at the back of the 18th green and stumbled to a bogey, Green birdied it for a 19-under 269 total and the title. 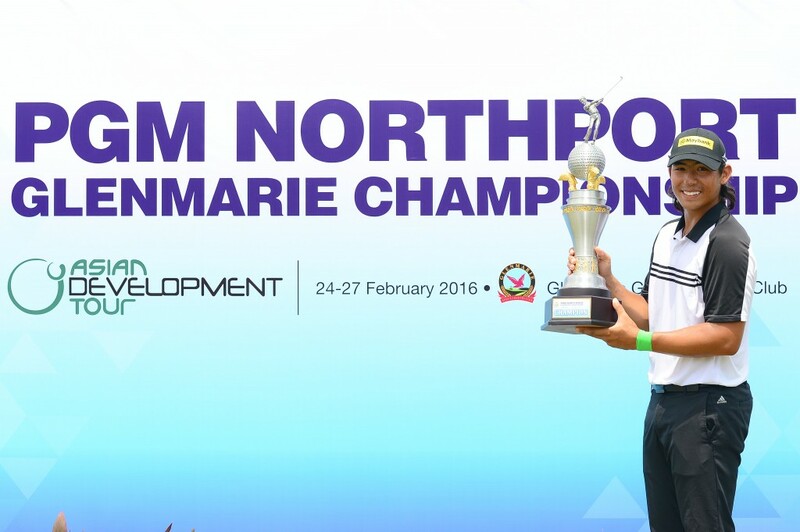 It was an effort worth RM35,000 and came after he also won on the PGM Tour an amateur the year before last. Speaking after the after tournament, the 22-year-old Malaysian said: “It was not easy and it is never easy winning these tournaments that are co-sanctioned with Asian Development Tour (ADT). Indeed, Green’s second shot on the 72nd was no more than a few feet from the cup and he duly buried the birdie-putt. Looking back on his week’s work, Green added: “I’m happy with how I played because I played some solid golf and a lot of that was due to the tussle that Chikka and I were involved with from the first round. “I made a few mistakes along the way and managed to get away with some. But those I didn’t manage to come through, I still played well enough to keep them down to a minimum. Chikkarangappa, meanwhile, also said he was pleased with how he played overall, and added that he was somewhat disappointed to not have gone all the way and landed the trophy. “But I’m still happy with how it went. Today I started slow but grew in confidence. And after the birdie the 11thhole I told myself to just have a good go at it and it worked out well. That was when the 22-year-old Indian lad drew level with Green at the top of the leaderboard. “I was also disappointed with my second shot into the 18th green. That really took me out of it. “But I’m still happy that I am in some good form and have been for a while now,” he said. “I must also say the course was in good condition this week. It’s my first time here and playing the same course where the EurAsia Cup was recently held is a real privilege,” added Chikkarangappa. Thailand’s Pavit Tangkamolprasert shot a six-under 66 to finish third on 16-under 272, while his compatriot Thammanoon Sriroj carded a 65 for an 11-under 277 and fourth place. Indonesia’s 23-year-old Danny Masrin signed for a 73 and a 279 total. He rounded off the top-five. “This was my first time playing in the last (championship) flight,” he pointed out. “And I learnt a lot. “The experience I have no doubt, will help me to move forward with my game. “I struggled at some stages during the round,” he added, in reference to a double-bogey at the par-5 16thhole, which was then followed by bogeys at the next two holes. Low Khai Jei, who only turned pro a few weeks ago and already won on the PGM Tour as amateur last year, was Malaysia’s next best-placed player. He had a last round 71 that left him in 12th place on six-under 282. PGM Tour chairman Tun Ahmad Sarji Abdul Hamid said they were delighted with the excitement generated by the level of competition amongst the players – many of them drawn from other countries. “The standard of our players is improving because of the exposure they are now getting from these co-sanctioned events against foreign players. “It also boosts them in the world standings, if they play well enough, as the co-sanctioned events carry world rankings,” he added.